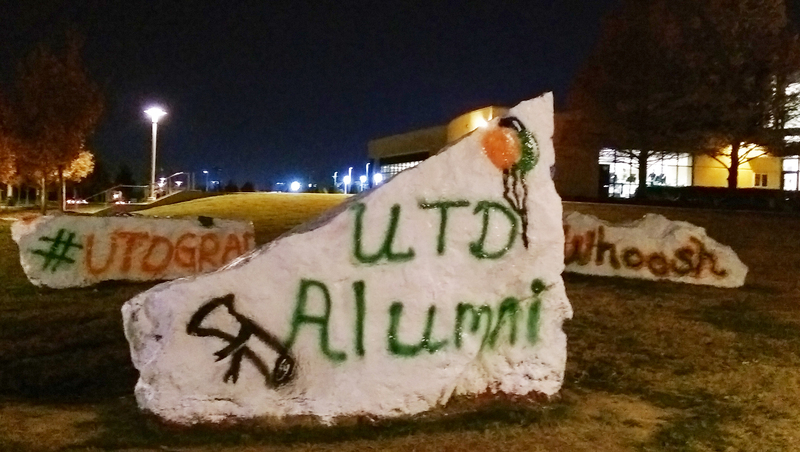 Photo Gallery of UT Dallas Alumni Events for 2015-2016. To see previous events, click on the years in the menu to the left. Nearly 200 alumni, friends and family made it out to our Signature Summer Event. Click here to view photos from the event. On May 12-14, UT Dallas' newest graduates celebrated their accomplishments with their family and friends. Click here to view photos from the event. On May 11, UT Dallas ring recipients were formally presented with their UT Dallas ring by vice provost and dean of undergraduate education, Dr. Andrew Blanchard, and Dean of Graduate Studies, Dr. Marion Underwood. Click here to view photos from the event. Alumni and community leaders - representing technology, financial, energy, consumer marketing, education and philanthropic sectors - shared the spotlight at the University's 14th annual Awards Gala. Click here to view photos from the event. On December 18-19, UT Dallas' newest graduates celebrated their accomplishments with their family and friends. Click here to view photos from the event. 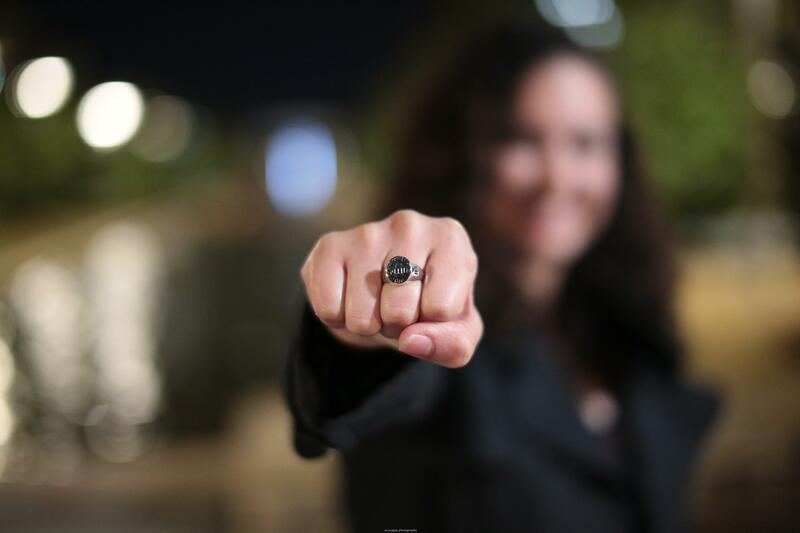 On December 16, UT Dallas ring recipients were formally presented with their UT Dallas ring by vice provost and dean of undergraduate education, Dr. Andrew Blanchard, and associate provost and dean of graduate studies, Dr. Marion Underwood. Click here to view photos from the event. 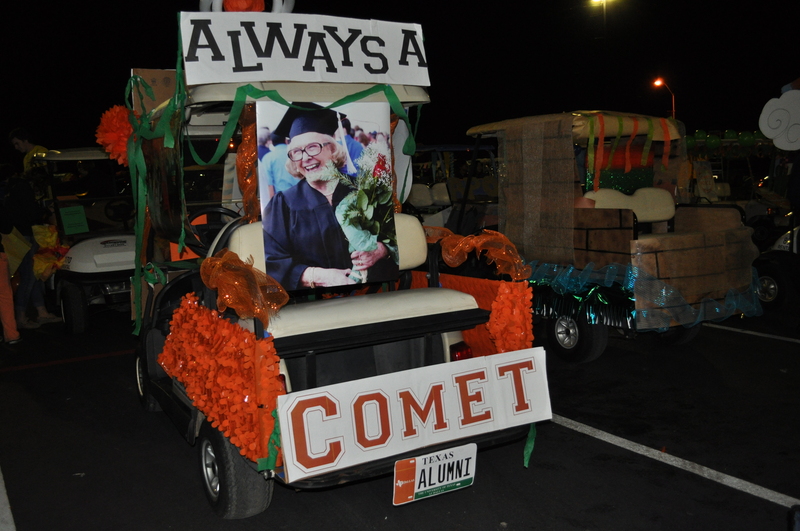 On November 13-14, Alumni ushered in Homecoming by building a float for the parade, spending time at the tailgate, and sharing laughs at the Brew-Haha. Click here to view photos from the event. 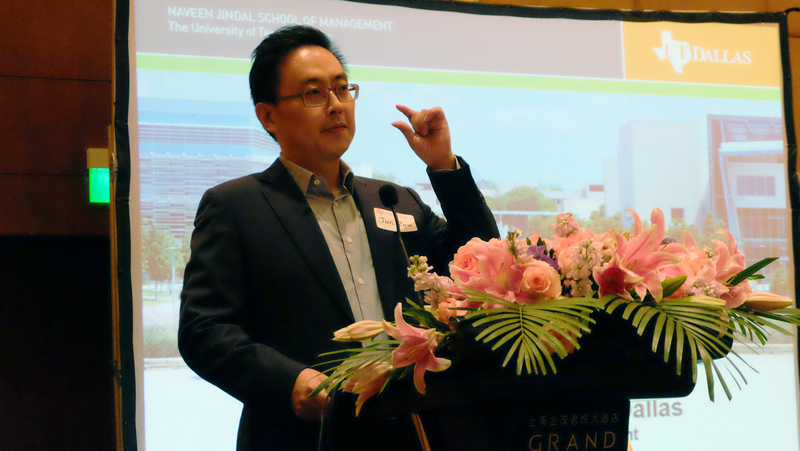 On October 26th and 29th, UT Dallas alumni, family and friends joined JSOM Dean Hasan Pirkul on his China Tour to reconnect with the UT Dallas Jindal School and learn more about the University's progress towards becoming a world-renowned Tier One research university. Click here to view photos from the event. 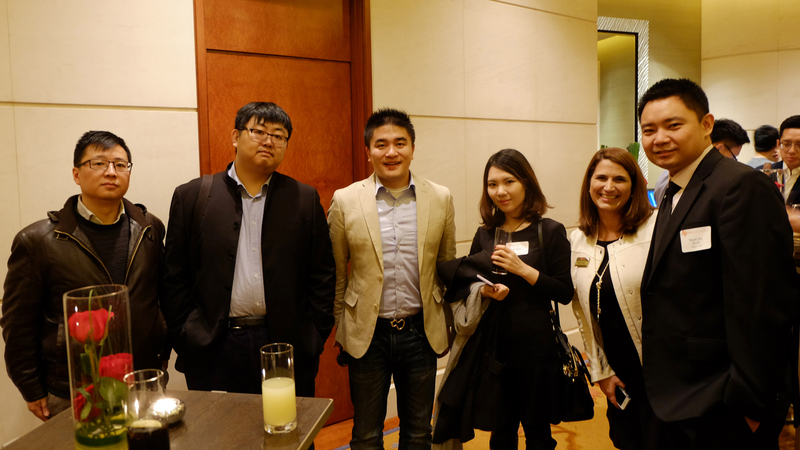 On September 10, UT Dallas alumni from the Bay Area got together for happy hour and networking. 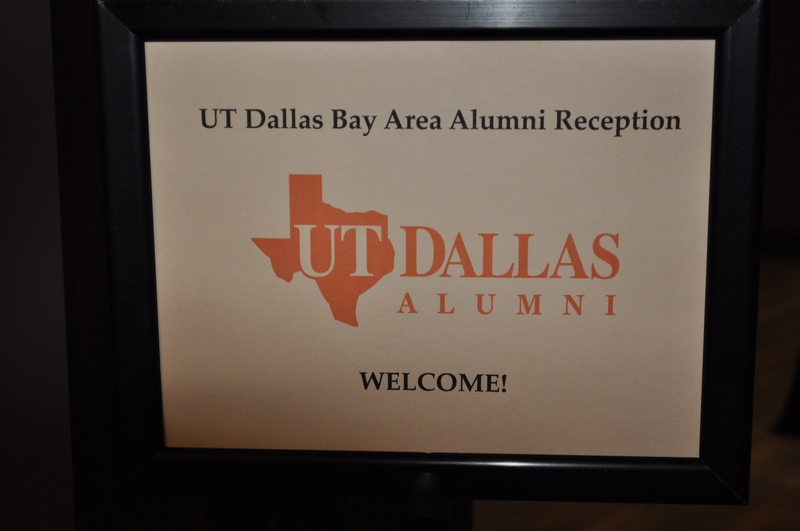 The event was UT Dallas and the Bay Area Alumni Chapter. Click here to view photos from the event.. Click here to view photos from the event. On August 11, UT Dallas alumni and incoming students from the Houston area for an informal reception honoring UT Dallas' newest Comets at the home of Kal Malik BS'86 and Feli Wong. The event was hosted by UT Dallas and the UT Dallas Houston Alumni Chapter. Click here to view photos from the event.